Are you wondering why you need soft skills as a civil engineer? 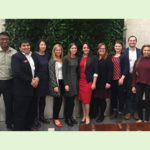 The Workplace Learning Report, which LinkedIn published last year after surveying 4,000 professionals globally, showed that the top learning priority was how to train for soft skills. Civil engineers must be prepared to keep up with an evolving workplace. To thrive in the field, soft skills are critical for successful teams and projects. You’re probably used to hearing that professionals should improve their speaking, organization, and teamwork skills. But what about beyond that? How about nonverbal communication? Or using storytelling to make your next project stand out? 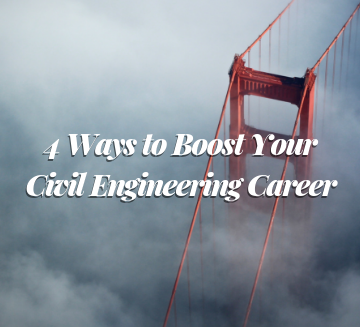 Here are four ways you can boost your civil engineering career. For centuries, civil engineers have constructed their legacies in the form of remarkable infrastructure that has shaped history and influenced the future. Civil engineers are essential to society, but as a profession, their narratives remain largely untold. Robert Deigh, principal of RDC Public Relations LLC and author of Spark: The Complete Public Relations Guide for Small Business, discusses the value of public relations to engineering firms and how to harness its power. Studies suggest that 80 to 95 percent of one-on-one communication is nonverbal. Around 38 percent comes from tone of voice and 55 percent comes from body language. And the rest? Only 7 percent of communication comes from what we say. Brock Barry, Ph.D., P.E., F.ASCE, an associate professor and mechanics group director in the Department of Civil and Mechanical Engineering at the U.S. Military Academy, West Point, NY, discusses why nonverbal communication is an important part of the messaging process in engineering companies. Civil engineers are problem solvers. However, the biggest pitfall that civil engineers face during the problem-solving process is working within self-imposed constraints. To inspire a-ha moments, they must disrupt conventional ways of thinking and take on a more human-centered approach. Brent Darnell, owner and president of Brent Darnell International and an emotional intelligence expert, discusses how design thinking can lead civil engineers to creative problem-solving. As more young civil engineers enter the workforce, the demand for versatile managers increases as well. Soft skills are as important as technical skills when navigating management duties within your company. According to Wonderlic, 93 percent of employers said that soft skills are an “essential” or “very important” factor when making hiring decisions. 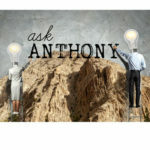 Anthony Fasano, P.E., M.ASCE, founder of the Engineering Management Institute and author of Engineer Your Own Success, discusses how to go from civil engineer to manager. Long time no see. You are looking good and these soft skill sessions you hosted are outstanding. 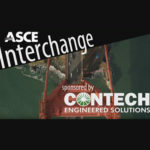 ASCE needs to figure out a way to get these messages to all members. Very informative, soft skills are indeed vital to civil engineering. What has interested me most is storytelling. It’s rare to read the story on an engineer from a book about how a key project was delivered.